Mr. Ship It will not have flights on any Bahamian or American observed public holiday. To ensure proper scheduling of shipments, please click here (link to holiday listing) for 2014-2015 holiday listing. We implore all customers to check packages content thoroughly before leaving the store as once the item is out of our possession, it is no longer our responsibility. In the event of your package is damaged in our possession, we will replace the item or refund the cost of that item. Please note that this is a one-time process that will occur when you pick up your first package from us. 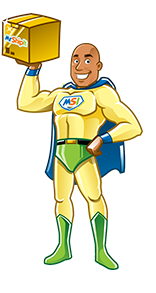 Mr. Ship It can clear goods on your behalf once you have given authorization to act as your agent. For Businesses: a copy of your valid Business License and a Letter of Good Standing from National Insurance. Before shipping an item to your U.S. Address, make sure we allow it. Check the list of hazardous, prohibited, illegal items below. You also need to make sure that the importation of your item complies with all laws. Failure to comply will result in legal ramifications. Contact one of our customer service representatives at 603-5555, send an email to hello@mrshipit.com or visit our conveniently located store. We are more than happy to help with any concerns.